I feel like this week has flown by, and I'm okay with that! We had our little granddaughters 4th birthday this past weekend, and it was so much fun! She's growing up to be such a sweet, and kind little girl and not to mention beautiful! I hope you enjoyed last weeks list of FIVE FRIDAY FAVS! SO LETS GET TO THIS WEEKS FIVE! 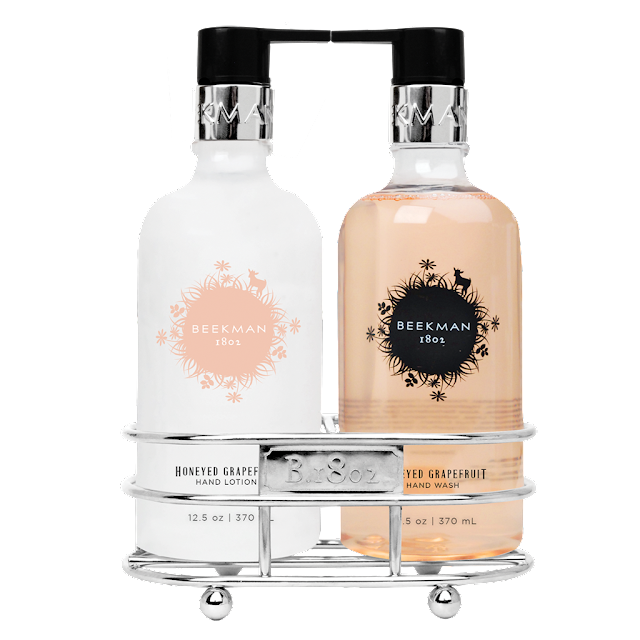 If you haven't tried the BEEKMAN BOYS line you really don't know what you're missing! They are two NYC guys who bought a farm and are sharing their experiment in living better lives! They produce soaps and cheese along with other mercantile from their own beloved goats! You can feel confident that you are buying an all natural, quality product! You know how you remember the first time you rode a bicycle, or your first kiss?? We were touring a Southern Living Dream home and they had it on their kitchen sink, and the woman working there forced (just kidding, no forcing needed) to try it! Well, it was love at first sniff! 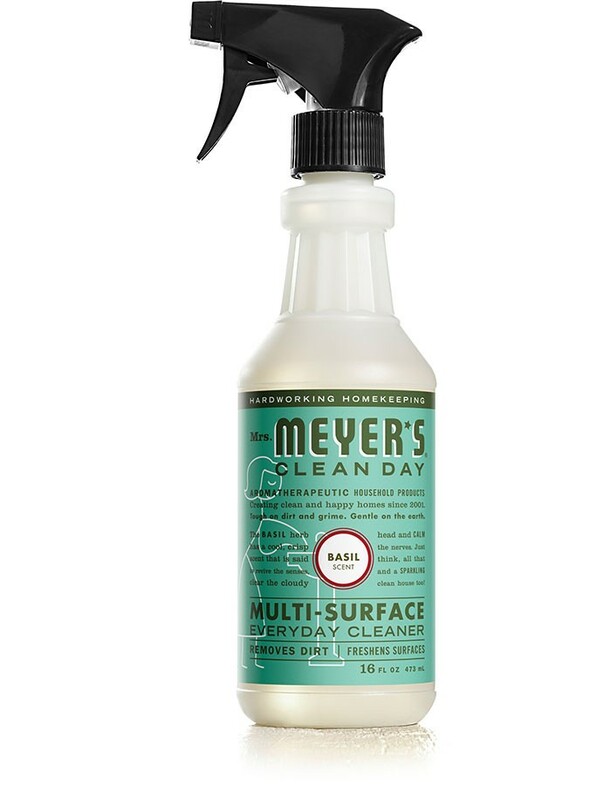 My favorite part of cleaning up the kitchen at night, is using the Mrs. Meyers counter spray! It really eliminates all cooking and food smells! I pretty much have all of their cleaning, hand & body, laundry and candle products! My favorite of all time is Orange Clove! Followed by Basil, Lemon Verbena, Lavender (For Laundry, Heaven!) and Geranium! I realize this is a generalized fav! Because I don't have one favorite fur item from one favorite store! Throws, pillows, stools you name it, I'm in! Fur is great for the question of, "Now that Christmas is over, how do I decorate until Spring?" Because fur just says, "Winter!" Warm, cozy and inviting! You don't need a ton of it either, so its not a huge investment! A throw, or a couple of fur pillows for your couch is all you need to get the look! Now some of you are like JuJu what?? But if you are a regular on Instagram, they are EVERYWHERE! (FOLLOW ME ON INSTAGRAM @thedailynest) <---Click Here! I just love mine! I found mine on ETSY at a shop called, OLDWORLDSHOPPE. A Juju hat is a beautiful wall decor feather headdress that are handmade by artisans. They've existed for hundreds of years. These vibrant hats were used by the tribes royals and other prominent dignitaries for tribal ceremonies. But now they have made it to main stream and are considered a piece of art. They've been featured in numerous home design magazines, television shows, movies and showcased by a few well renowned interior designers...and just little ole me! It was always a dream of mine to own a horse! In fact the other day I had the bright idea to get a mini horse! They are absolutely adorable! But without the need for space or high maintenance of a full size horse. Sadly, it will probably never happen! Another pipe dream of mine, squashed! The closest thing I'll probably ever have to a horse, is a horse print! Close, right? Not even! But I'll just have to make myself happy for the time being! I took some great photos when we traveled this past fall of some beautiful horses! I'm in the process of having them printed. I'll frame them and hang them, and look at them and DREAM! DON'T FORGET TO SHOP THIS POST ON THE BAR BELOW!